As the world moves toward a cashless financial system and ultimately the Mark of the Beast to validate identities (see The Identification Problem), a significant new technology has been developed that will partially solve the problem of identity fraud. This invention is so important that it may also represent one of the last stages in the evolution of Electronic Funds Transfer (EFT) before the Mark arrives. In no case is the merging of microprocessors and credit card technology better seen than in the development of what has become known as the smart card. Originally a French invention made in 1974 by Roland Moreno, this major advance in credit and debit card technology is proving to be the answer to making the cashless society a reality while reducing the risk of electronic theft. “Within a year it may be possible to carry much of the power of a personal computer in one small compartment of a billfold. It will reside in a device called a smart card: one or more microelectronic chips mounted in a piece of plastic the size of a credit card” (Scientific American, Nov. 1985, p. 152). Over the next 25 years, advances in electronic technology made circuitry become ever smaller and denser, while the computing power of microprocessors grew almost exponentially (see The Cashless Society). For instance, the science of microelectronics has shrunk the size of a computer down from stationary, room-sized behemoths weighing thousands of pounds, to portable devices such as smart phones that you can easily carry in your pocket. In addition, the computing power of microprocessors has grown from performing at most thousands of calculations per second to performing up to trillions of calculations per second. Processors today are capable of rendering advanced graphics, high resolution video, or virtually any other processing function imaginable. In the mid-1980s, the microprocessor chip and the credit card were successfully merged into what became known as the smart card. Concurrent with the same electronic revolution that had given rise to the central processing unit (CPU), the birth of the smart card was the equivalent of a computer sandwiched within the thin plastic layers of an otherwise normal looking credit card. Within each smart card were placed one or more silicon chips which were each less than eleven-thousandths of an inch thick. Etched on the chips’ surface was the electronic circuitry necessary to transform plastic money into an intelligent and programmable instrument of commerce. In the mid-1980’s, both Canon and Casio corporations used these basic principles of smart card technology to make calculators the size of credit cards. These calculators came complete with a miniature keyboard and a display window all on the surface of a plastic card not much thicker than the standard Visa card. However, the development of smart card technology promised something much more radical than merely having the ability to carry a calculator in your wallet. Before smart cards came along, the state of the art in storing information on a credit card was through the use of a readable and writeable strip attached to its back surface. The dark band usually seen running across cards is commonly called a magnetic stripe and is typically used to store financial and personal information concerning the card’s owner. The band is actually a magnetizable surface similar to a recordable cassette tape that can record data in much the same way as tape recorders, although of course at much lower density than hard drives. The magnetic stripe usually consists of several tracks of encrypted information containing such things as the name of the card-holder, the card number, data on credit limits, and information necessary to use it in ATMs. Although the stripe can store enough information to make credit card transactions possible, it is limited in that the data is passive. In other words, all that the typical credit card can be used for in terms of information processing is rudimentary storage and retrieval operations. The initial recording of information on the magnetic stripe is typically done by the credit card issuer and is specific for each individual account holder. When a credit card is swiped through a point of sale (POS) terminal or inserted into an ATM slot, the encrypted information is simply read and decrypted by the host computer to begin the transaction process. The credit card and the magnetic stripe play no other function in the financial exchange other than to present the card holder data and have it validated by the terminal and EFT network. Smart card technology, however, changes all of that. Suddenly a plastic credit or debit card having nothing more than coded information on its surface can become, with the help of the embedded microprocessor, a functioning computer able to perform complex calculations and interact with the global network using various software applications. In fact, the method of data storage on cards no longer must be confined to a simple magnetic band across the back, but can actually be stored directly within non-volatile flash memory or read-only memory (ROM) circuits embedded within the card. This fact alone has the potential to increase the storage capacity from a few lines of information to literally thousands or even millions of pages, depending on the supplemental memory provided within the card’s chips. In addition, all of the information stored within the card’s memory circuits can be accessed and used by its central processor. This design can thus turn a piece of plastic into an integral part of the entire EFT network. Instead of making POS terminals and remote computers handle the total burden of a cashless society, each person’s card can now become a fully functioning computer in the transaction process. For a cost of about $2 to $10 each, depending on the type and speed of the microprocessor that is used and the amount of memory the card contains, literally billions of these smart card computers are being manufactured today and added to the existing EFT system. As we will see, the combination of smart card computers and the global financial system are forming a super-network with tremendous potential to eliminate fraud and validate identities. “Imagine the power of a computer, the speed and security of electronic data, and the freedom to carry that information anywhere on earth. Imagine a computer so small it fits inside a plastic card like the credit card you carry in your wallet. Imagine the Smart Card” (Smart Card Technology—A tutorial). 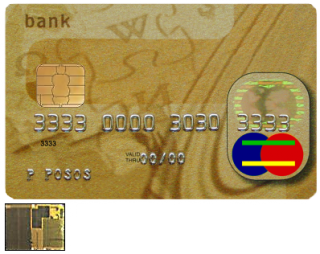 The modern smart card can be visually identified and differentiated from a standard credit card through the universal contact area usually seen on the front of the card, which is a gold-coated copper square with dividing lines to separate each contact region (see illustration). To the eye, the contact area looks like a logo and actually does identify a card as being a smart card. The cards are typically made of polyvinyl chloride (PVC) with a single silicon chip sandwiched between layers of the plastic. The chip contains both a microprocessor and associated memory. This chip, now typically called a micromodule, communicates with the outside world through these eight metal contact pads, which are electrical links designed to conform with international standards for power, voltage, programming, ground, and input/output signals. A device such as a POS terminal that can accept and communicate with a smart card is called Card Acceptance Device (CAD), and it will have a reader with eight complementary electrical contacts to conform to the micromodule contacts on the card. Some of the latest cards may not have these contacts, but they may instead use contactless scanning through radio frequency (RF) or near field communication (NFC) capabilities to communicate with POS terminals without the insertion of the card into a reader (see later section on RFID). Smart card microprocessors are typically 32-bit Reduced Instruction Set Computing (RISC) chips that have clock speeds of about 25-32 MHz, which is slow by the desktop or laptop computing standards of today, but these speeds allow them to run cool at very low voltage levels. The chips also come with a programmable ROM that contains the instructions for any specialized applications the cards may be designed to run. The methods for incorporating these programs and applications within a smart card’s memory are highly secure and can only be done by approved vendors and validated by the authorized user of the card. Thus, hacking into smart card chips malicious instructions or information for fraudulent use is very difficult. “[The] complete medical and insurance records, digital representations of EKG’s, electroencephalograms, and X-rays—along with a facsimile of the patient’s photograph and signature” (Newsweek, May 20, 1985). This early concept of the medical smart card has continued and expanded worldwide today, but of course with programmable ROM circuits replacing the magnetic or optical stripes on the back of the card. Information contained in these cards can help medical personnel make diagnoses and administer treatments. The medical smart card also can provide complete and accurate medical histories to physicians, including any drugs a patient may be taking or any allergies they may have. From the patients’ point of view, these cards are convenient, because they don’t have to fill out medical questionnaires every time they obtain treatment. Of course, the cards also function as simple debit or credit cards for payment of services, which makes them dual functional. Today, health-related smart cards are in routine use worldwide and their distribution has grown tremendously. For instance, in 1998 France introduced smart health cards for all its 50 million citizens. Many other countries and health care providers also have standardized on the use of smart cards to carry health data (for a list of health care applications see the Smart Card Alliance). Smart cards also are being used today in a growing number of specialized applications beyond healthcare. In addition to use as payment cards, microprocessor equipped cards are being used for access to the Internet and private networks, for secure communications, as membership cards in government programs, for information security, as payment and security cards to access transportation systems, for physical access to buildings or secure areas, as retail, gift and loyalty cards, as identification cards and drivers’ licenses, and even as dog tag IDs for the military. Thus, smart card IDs today have been issued by many different entities, including universities and academic institutions, banks, credit card companies, other corporations, governments, and military organizations. The majority of countries either have already launched smart card ID programs for their citizens or are planning to do so in the very near future. Even third and fourth world countries without significant budget resources are issuing secure smart card IDs under the guise of preventing terrorism or for national security. A surprising straggler in this regard is the U.S. government. The typical U.S. citizen doesn’t own a smart card unless they are one of the few that have recently had them issued by credit card companies (e.g., American Express Blue). This slow trend to incorporate the technology in America is probably due to a strong conviction among U.S. citizens to personal liberty and opposition to statism, which has resulted in significant resistance to any form of national ID card. This has delayed implementation of smart card identification for years, both nationally and on an individual state basis. However, this won’t last for long. The current target for the implementation of the Real ID Act in the U.S. is the end of 2017. 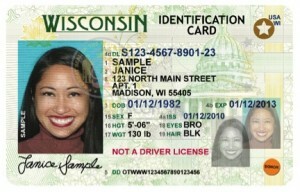 The law requires that every U.S. citizen be issued an official national ID card by December 31 of that year, and that fact has already caused a handful of states to issue smart card driver’s license IDs that comply with these guidelines (see image of Wisconsin’s Real ID card from www.dmv.org). Although the Real ID Act doesn’t actually require everyone to have a smart card—only that the card contain certain secure identity features, which can include the use of a computer chip—the movement toward smart card use is prevalent. Notice that the issuance of the card will involve an approved identity being given to each person by the U.S. Transportation Security Administration (TSA). This verified identity is similar to what the Empire of the Beast will enforce worldwide at the end. The Real ID process in the U.S. will allow Americans to catch up with the rest of the world, where over 100 nations have already issued smart card IDs to their citizens. In fact, Europe is now so entrenched in smart card technology that a U.S. citizen traveling within the EU might not even be able to use their standard credit or debit cards in some terminals, because they only accept smart cards. According to SmartMetric, Inc., the three most common applications for smart cards are government IDs, payment cards, and subscriber identity modules (SIMs) used in smart phones (see Marketwired news). These applications are responsible for 88% of smart card uses. 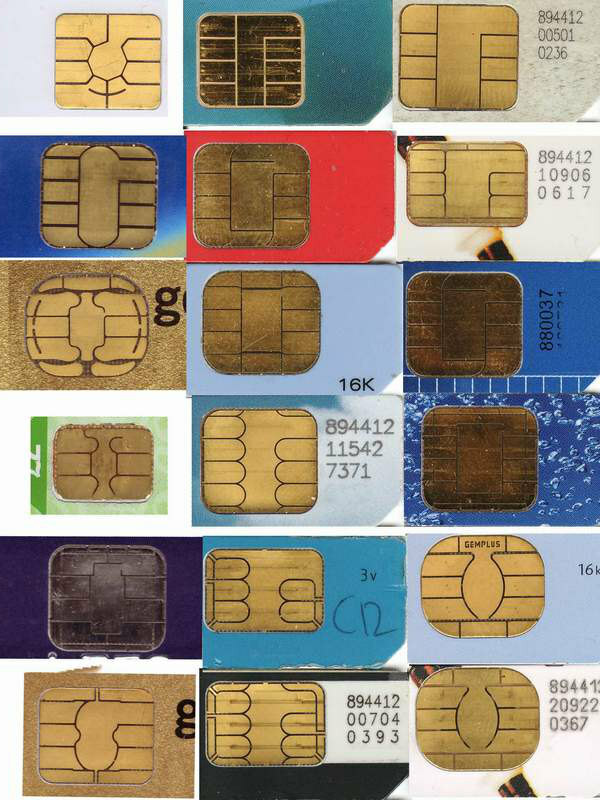 The SIM cards employ essentially the same micromodules as smart card chips, but are adapted for plugging into smart phones instead of being embedded in plastic cards. Therefore, every smart phone has the ability to double as a smart card and be used in all the applications where smart cards are currently being used. Many banking and purchasing apps are available for smart phones to make contactless purchases and transfers of money through online banking sites. It is this combination of a smart card ID and the ability to use it like a credit card that is currently finding increasing use to secure routine transactions against fraud. The micromodule chip is able to incorporate many different types of identity information, which makes it far more secure than any other methods of cashless buying and selling. 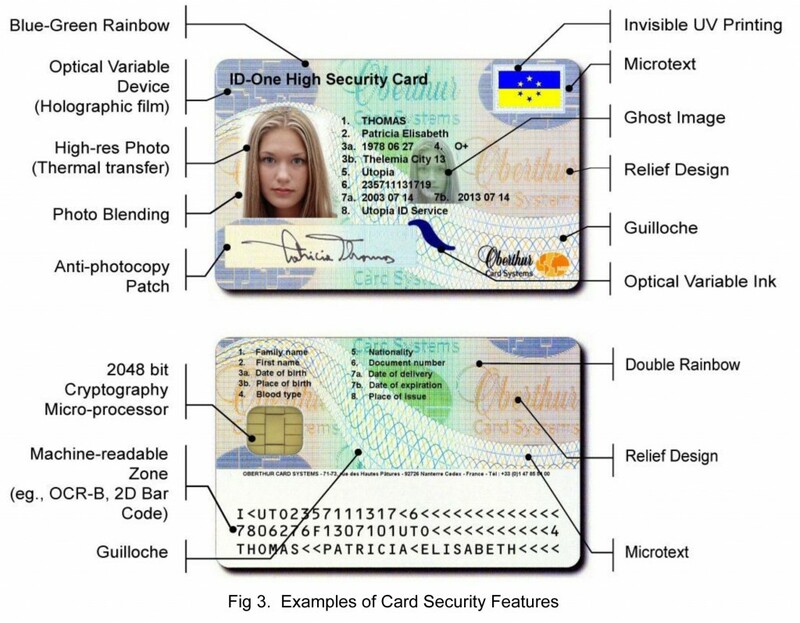 Programmed into the chip’s memory and applications can be the user’s account number, personal identification number (PIN) or password allowing use of the card (or smart phone), the account holder’s name, answers to key security questions that only the real owner of the card would know, a digital image of the person holding the card account, and other biometric information related to physical characteristics that are unique to the validated owner (see later section on Biometrics). The advantage of smart card technology over traditional credit or debit cards is now driving its acceptance on a global scale.  The SmartMetric report indicates that in 2012 the total smart card global production rate equaled over 7 billion units shipped per year. This represents almost as many smart cards being distributed on an annual basis as the total population of the entire world (which is currently estimated to be almost 7.2 billion people)! Clearly this figure includes multiple applications for different smart cards as well as replacement cards or upgrades of previous generation cards; however, the total number that is being produced is still incredible. It is obvious that the trend toward smart card adaptation is accelerating and will soon result in a universally compatible card that can be used as a secure ID and bank card everywhere. Russia is one of the most advanced countries for implementing smart card technologies. The government has actually issued more cards than their total population, which means that the cards are already well ingrained within their society. Now they are planning to implement a “universal electronic card” (UEC) to be released in 2013, which will be a single card for all applications that smart cards can be used for today (see http://rt.com/news/prime-time/universal-electronic-cards-russia/ and http://www.sitronics.com/products/Microelectronics/2025/). This means that instead of issuing separate cards for banking, social services, medical records, transportation, government identification, drivers licenses, for passing security points or entering secure doors, or signing on to computer networks, a single smart UEC could do all of these functions. The Russian government calls these cards the universal e-ID cards. Former President Dmitry Medvedev (currently Prime Minister) said that citizens would soon use these cards even as voter IDs in elections. This is the next major step in creating a single worldwide smart card ID that all people will be issued in order to participate in society. 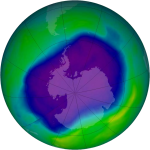 Every government will soon move to implement UECs. These universal cards will validate and secure identities and allow the implementation of a fully cashless society. 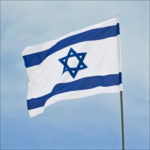 As we see these events taking place, we have to ask, can the Mark of the Beast really be far behind? As the final world empire emerges just as the Bible predicts, the microprocessor-in-a-card will meld perfectly with the need for secure identities in an ATM and POS based commerce system. Validating identities is thus becoming an absolute necessity to combat terrorism and prevent identity and economic fraud. Thus comes the smart card to the rescue—a secure, programmable card that can be used both for official government mandated identification and as an advanced credit card for commerce. It is also important to note that these developments have occurred concurrent with the construction of the global Internet communications system and the rise of computer technology, which altogether form the basis of the cashless society. For commercial applications, the information stored within a smart card’s circuitry will be directed almost entirely toward making secure electronic transactions with validated identities for access to accounts and services worldwide. Within one small piece of plastic, the entire financial history and identity information of its owner will be recorded. Issuing credit or purchase approvals along with validating identities will be based solely upon satisfying preset standards which must be met within the card’s electronic software. In the very near future, anyone not having an identity card or a smart card for buying and selling will find that they are unable to participate in society. This is only one step away from issuing a Mark in the right hand or forehead as yet another form of secure ID in the Antichrist’s final world order! 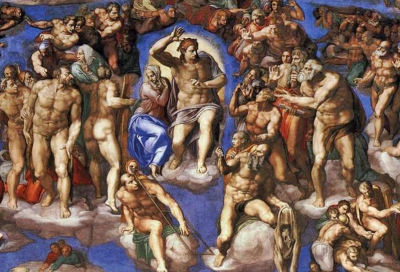 How close do you think we are to the end of the age and the Return of Christ?